Temperament: Proud, usually active and always highly intelligent. Standard Poodles can have a range of drives, from high prey drive to couch potato, usually depending on line, and they love games and their people. Sometimes aloof, great with children and as therapy dogs. Owners can expect to be kept on their toes but will lose their hearts to these intuitive dogs. Height: Technically any poodle over 15", but usually over 20", up to 27". Poodles are an ancient breed and were once all over Europe, originally curly coated water fowl dogs. They are "generalists" not "specialists," good at retrieving, herding, guarding and entertaining. Despite their modern reputation for being an elite pet, they were the poor man's dog, since one dog could do so much and earn its keep. Their popularity increased in the 1920s, when a few British, French and Swiss kennels dominated the breed and were exported from Europe to North America and Australia. By the late 1940s, the breed was highly prized and by the 1960s two related lines, Wycliffe and Bel Tor, emerged as the most influential kennels. These lines were highly linebred, and in the case of Wycliffe tightly inbred, and then exported all over the world. 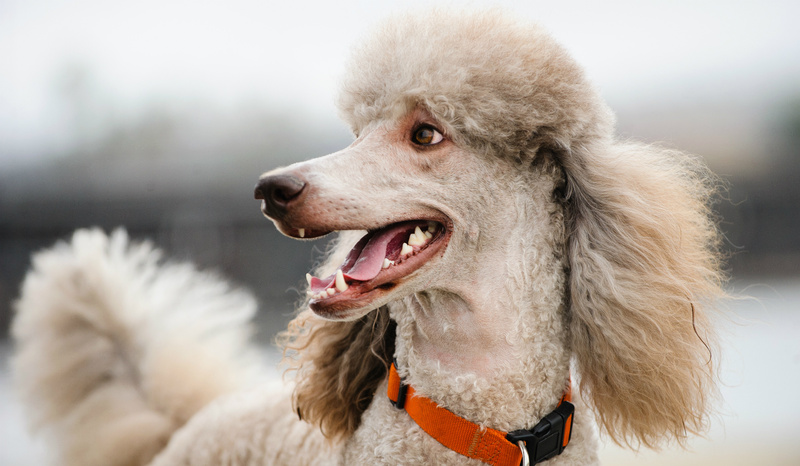 Today there are no Standard Poodles without those lines in their ancestry, and most can attribute at leas 50% of their heritage to these two lines, which goes back to only 10 dogs born from 1948 to 1953. Due to the high population numbers and an active breeder community, there remains ample diversity in the breed, but there is also a severe genetic bottleneck in most of the breed. This bottleneck is so extensive that it includes both the highest quality show lines as well as poorly bred bred commercially bred dogs. Because it's impossible to know from a pedigree how genetically similar two dogs are, assessing each dog's genetic diversity is important for serious breeders. The main concern for Standard Poodles is autoimmune disease, most often Addison's Disease and sebaceous adenitis, but others are also on the rise, like autoimmune hypothyroiditis, immune mediated thrombocytopenia, autoimmune hemolytic anemia, symmetric lupoid onychodystrophy (SLO), and chronic active hepatitis. Standard Poodles also have a high frequency of idiopathic epilepsy (seizures) and gastric dilatation and volvulus (bloat). Homozygosity in the breed is reasonable on average, but due to the high level of historical inbreeding, most pairings can produce a range of highly homozygous (or more inbred ) puppies and less homozygous (more outbred) offspring in the same breeding. This breed has a severe genetic bottleneck that has made it so most Standard Poodles are very similar the world over. Because it's a very populous breed, there are small handfuls of dogs that are less related to the rest of the breed. Most of these have been tracked for the last 10 years and so there is ample information on them.